More than a dog show, the AKC/Eukanuba National Championship event features LOTS of activities and exhibitions and one of my favorites was Meet the Breeds. With a booth for every breed, I got the chance to visit with so many breeds of dogs I'd never met before. Here, meet the Dogue de Bordeaux! 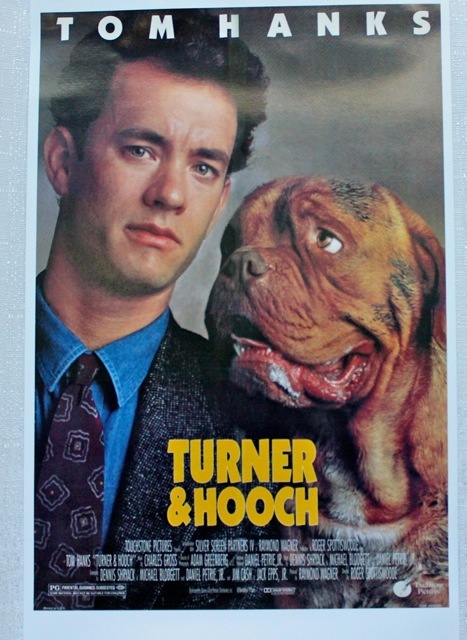 You might recognize him from the movie Turner and Hooch. 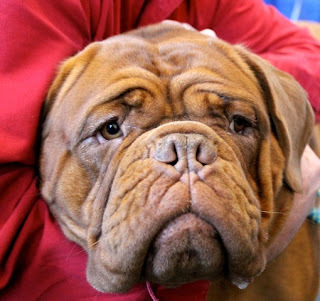 Is the Dogue the Bordeaux the right breed for you? This breed, recognized by the AKC in 2008 competes in the Working Group and should weigh at least 99 pounds. The AKC Standard says he possesses an instinct for guarding, which he does with vigilance and courage, but without aggressiveness. 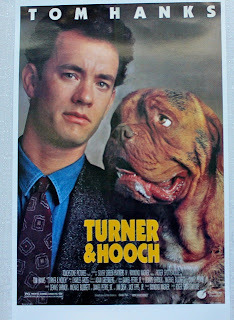 He is an excellent companion – affectionate and attached to his family – with a patient, calm temperament. Their short coat is easy to care for and they require moderate daily exercise. New owners should be prepared to deal with drool! ... shoes that proudly display the lovely Dogue de Bordeaux head, and in patent leather for easy clean-up! 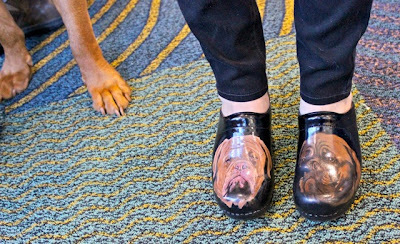 Inspired by these shoes, I set out to find the perfect customizable dog show travel shoe and, ta-da!, I found Onesole, the original interchangeable shoe... comfy, and you can put a photo of your choice on the top! These just may be my shoe of choice for next year's dog show! A face only a mother could love....BOL. What a face! Love the wrinkles and the shoes! I just want to hug that scrunchie face! I enjoy reading a post that wіll make people thіnk. Αlѕo, thаnk you for аlloωing for me to сomment! site-building then i propose him/her to visit this webpage, Keep up the nice work.